Are you tired of being your own biggest roadblock? you're stuck in a negative cycle with your diet and self-image? 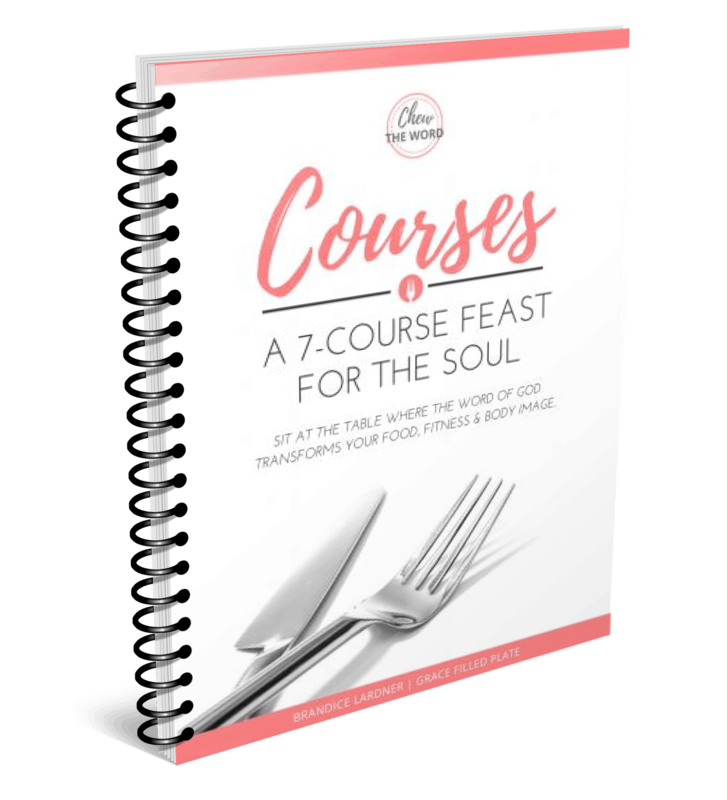 Introducing "Courses: A 7-Course Feast for the Soul." The Bible study technique that will show you exactly how to get the answer to your food struggles directly from the Word of God! This 7-week study will show you 7 key areas to SATURATE with God's truth so you can walk in freedom and fully live out the calling that God has on your life! Get your "COURSES" ebook delivered to your inbox right away FOR ONLY $10! If you are ready to make a change in how you eat and view your body but you don't want to read one more diet book, "Courses" will help walk you to your Solution through its simple scripture study format. See your food struggles from a spiritual perspective so that you can find the true and lasting solution to your problems. Learn how to study the scriptures to find God's specific direction for your health & fitness. Walk away from food temptations because you are filled, equipped, and empowered by the Word of God. Not only will you learn to change how you eat, but you will grow closer to God and stronger in your faith in the process. Your eyes will be open to His "very present help in time of need." Get your 7 "COURSES" for ONLY $10! In "Courses," each week is focused on one specific area, starting with a short teaching, 5-daily scriptures studies, and a weekly reflection, where you will tie a bow on your week's lessons. COURSE 1: THE GRACE DIET. Discover why GRACE needs to be the foundation of all you do. COURSE 2: GROW IN SELF-CONTROL. Develop this fruit and walk in the Spirit. COURSE 3: BIBLICAL BODY IMAGE. Get focused on what matters and drop your body image baggage. COURSE 4: SPIRITUAL WARFARE STRATEGIES. Suit up and use your weapons of faith. COURSE 5: TRUE COMFORT FOOD. Find comfort that lasts in the arms of your Father. COURSE 6: STAYING THE COURSE. Determine how you will handle roadblocks before you hit them. COURSE 7: SPIRIT-LED EATING. Find God's specific directions for YOUR diet. Learn more ABOUT Grace Filled Plate or visit the HOMEPAGE.